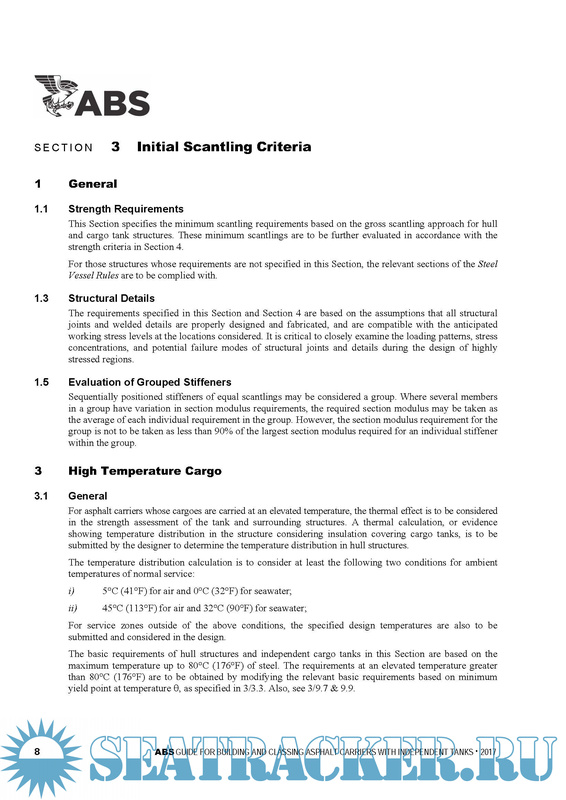 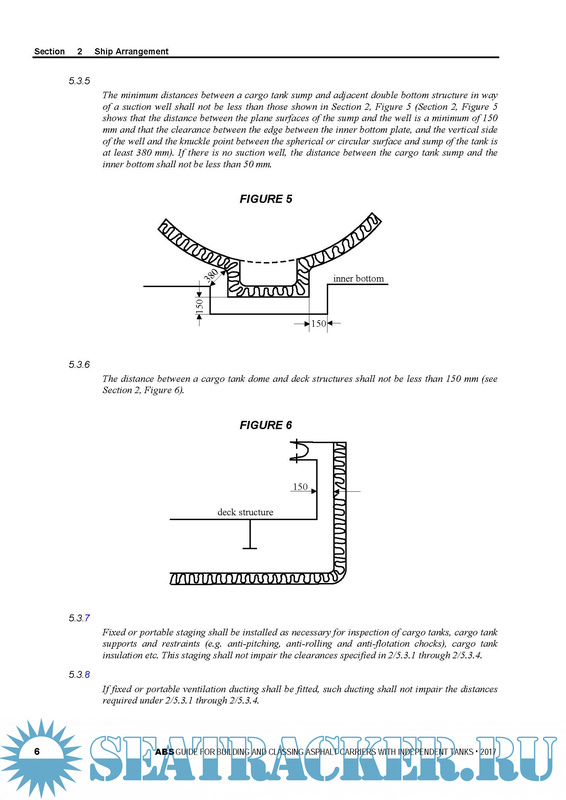 Description: In accordance with 1-1-3/3 of the ABS Rules for Conditions of Classification (Part 1), the classification notation À A1 Asphalt Carrier with Independent Tanks (temp℃) is to be assigned to vessels designed for carriage of asphalt solutions with maximum design cargo temperature of temp°C in independent tanks (during loading, steady state, etc. 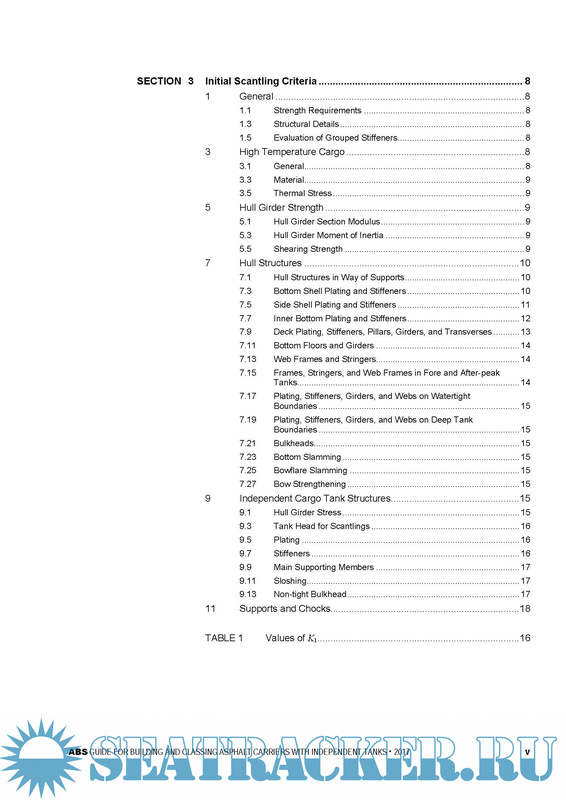 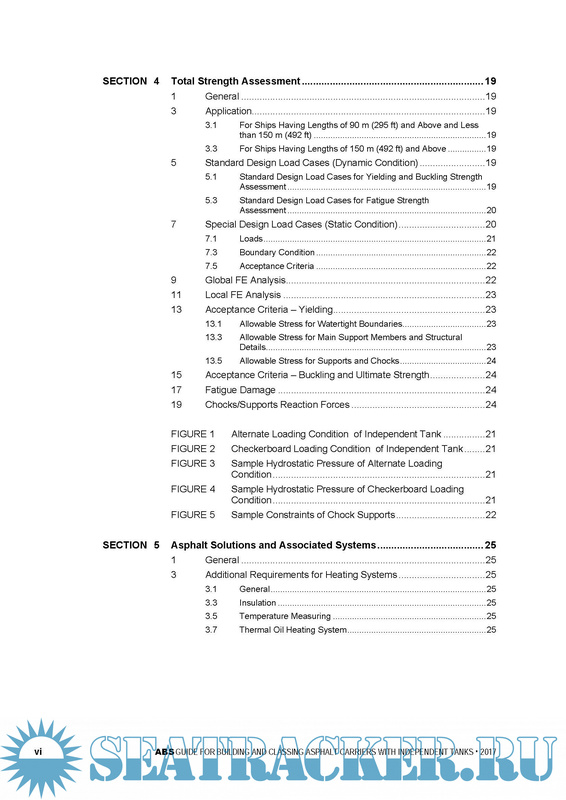 ), and built to the requirements of this Guide and other relevant sections of the ABS Rules for Building and Classing Steel Vessels (Steel Vessel Rules). 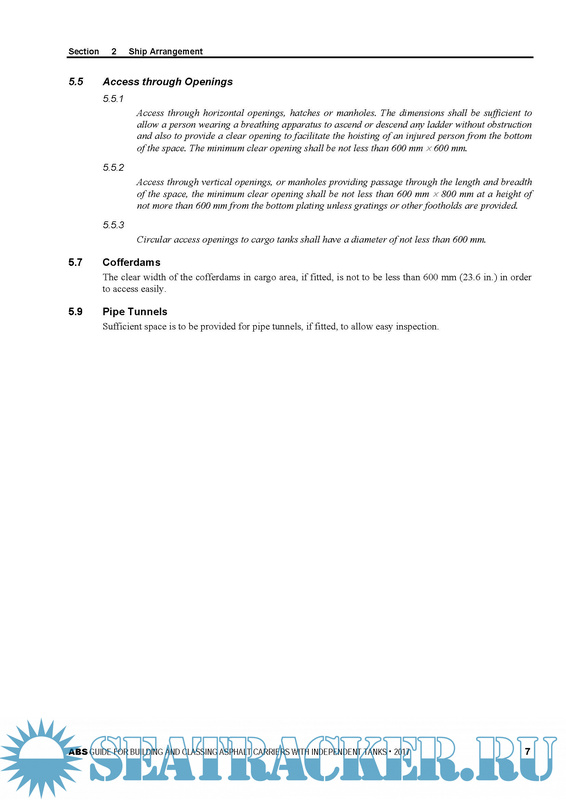 In addition, the classification notation SH, SHCM is to be assigned to vessels having lengths of 150 m (492 ft) and above. 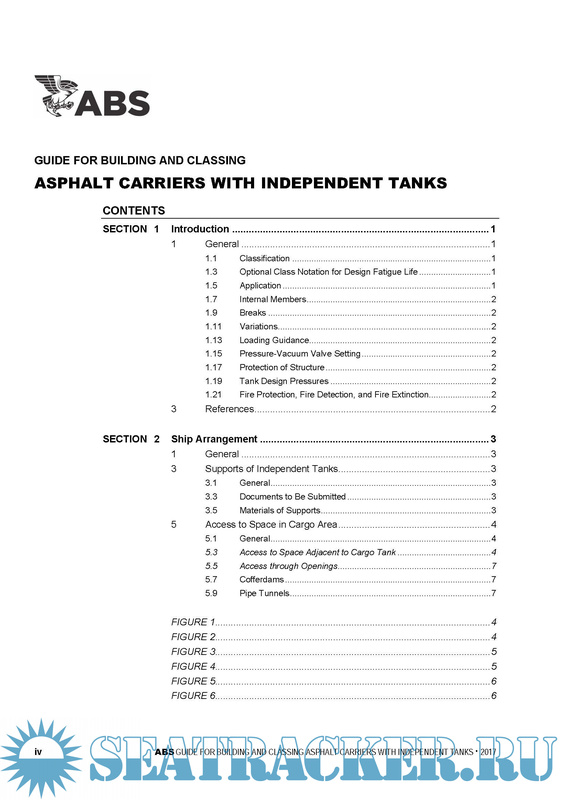 As used in the Guide, the term “asphalt solutions” refers to asphalt solutions listed in Appendix I to Annex I of MARPOL 1973 as modified by the 1978 and 1997 Protocols, and having flash points above 60°C (140°F), closed cup test.